- Charts have been updated for the first time in 14 years. Better late than never! Releases from 2005-2018 have been added, along with a new visual design. - Brian May's New Horizons has been updated with two versions that appear on the Record Store Day 12" vinyl. - Roger Taylor's Gangsters Are Running This World has been edited to add the Purple Version and the Lyric Video Version. - Roger Taylor's Gangsters Are Running This World has been added to his page. - The Works, A Kind Of Magic and Mr. Bad Guy have all been updated and corrected, with new information about Munich sessions. - Barcelona, from the compilation album 'Barcelona Gold' has been added to the Barcelona page. - New Horizons has been added to the Brian May page, featuring both single and video version info. Multiple pages have been updated for the Bohemian Rhapsody soundtrack release. - Releases (Bohemian Rhapsody - The Original Soundtrack..... UK, US and US Target variants). - Information about Tim Staffell's album "aMIGO" has been updated on the Brian + page. - We Are The Champions (Rock Radio Mix) by Robbie Williams + Queen has been added to the Robbie Williams page. - Bohemian Rhapsody Soundtrack page added to Releases. - New main page design (Bohemian Rhapsody Movie theme). - Roger Taylor's "Journey's End" has been updated with the UK release. - Dragon Attack (Mexico Promo Edit) added to The Game page. - Queen + Paul Rodgers "We Believe" promo CD-R added to the releases page. - The June 2002 issue of Record Collector featured some interesting quotes from Official Queen Archivist Greg Brooks. In the issue Greg speaks on the recording sessions and out-takes from the first five albums. Those quotes have been intigrated into the website Song Versions pages. - Electric Fire has been updated with song versions from the CD-R promo "acetate". A big thanks to The Queen Fanthology for an assist on Electric Fire song versions. Make sure to visit The Queen Fanthology Facebook page for another source for song versions and rarities. - News Of The World, Live Killers, On Fire - Live At The Bowl, and Rock Montreal have all been updated with new song versions from the News Of The World 40th Anniversary box set. - Did everyone notice the new website design? The site is about 90% completed. Meanwhile, sections that are not done link to the old website. - Journey's End, Happiness?, and Electric Fire have all been updated to reflect the new Journey's End 10" EP. - Errors corrected on The Cross "Shove It" page. - News Of The World page is updated with descriptions of all the "Raw Sessions" versions that appear on the upcoming News Of The World 40th Anniversary Edition box set. - News Of The World 40th Anniversary Edition information has been added to the NOTW album page and the releases page. WWRY/WATC Raw Sessions digital download added to the releases page. Roger Taylor's Two Sharp Pencils remixes have been added to the Strange Frontier album page and the releases page. - Brian May & Kerry Ellis' album "Golden Days" has been added to the Brian May section. Included in that update are different song versions for Born Free, Roll With You, The Kissing Me Song, and Panic Attack. Roger Taylor's "Journey's End" single has been added to the Roger Taylor section. - Edits from the Greatest Flix 1 & 2 Video CD are featured on this update. A special thanks to Craig Piper and The Queen Fanthology for help. The songs with updates are Killer Queen, You're My Best Friend, Bohemian Rhapsody, Tie Your Mother Down, Somebody To Love, Fat Bottomed Girls, Bicycle Race, Don't Stop Me Now, Play The Game, Save Me, Flash, Under Pressure, Radio Ga Ga, It's A Hard Life, I Want To Break Free, Hammer To Fall, A Kind Of Magic, and The Show Must Go On. - The single version and "Forever Edit" of A Winter's Tale has been added to the Made In Heaven page. - Queen + Adam Lambert's "Live In Japan" release has been uploaded. A Queen + Adam Lambert page will be coming soon. - The takes from the famous "Bell-Boy" demo tape featuring Brian May and Elizabeth Lamers have been added to the Back To The Light page. - Queen's BBC Sessions release "On Air" has been added to the releases page with scans of the 6CD and 2CD editions. All BBC related entries and song versions have been updated to reflect the new release. The Deluxe 6CD Edition features some additional DJ chatter throughout the tracks. - The Barcelona song versions page has been updated with some additional information and recording dates. - The Love Kills page has been updated and some errors corrected. The Halo Remix and Lock And Loaded 7" Edit entries have been rewritten with corresponding scans of the 12" vinyl. The Argentina 7" Promo Edit has corresponding sleeve/label scans added as well. The Rank 1 Radio Remix has been added and the release it appears on has been corrected. Some other minor information and rewrites appear elsewhere on the page as well. - Freddie Mercury's "Time" page has been updated with new additions and corrections. As a result, the following releases pages have been updated: In My Defence, The Solo Collection, and Messenger Of The Gods. - A late evening update as well... I Can Hear Music and Mr. Bad Guy song versions pages have rewritten entries. - A very special thank you to Craig Piper and The Queen Fanthology for assistance with this week's update... which is all about Live Killers. - Live Killers has been updated with Let Me Entertain You (US/Japan Single Edit), Love Of My Life (Japan Live Single Version), a pair of Live Killers versions (LOML and WATC) from the Brazilian "Thank God It's Christmas" compilation LP, Spread Your Wings (Japan Single Version), and We Will Rock You (Japan Single Version). - Capitol Records "Rough Mixes" cassette tape from The Miracle has been added to releases. Song versions from this have been added to The Miracle and Made In Heaven. - We Will Rock You - 20th Official Italian Fan Club Anniversary CD single has been added to releases. Song versions from this release have been added to the Live Killers and Live Magic pages. - Keep Yourself Alive 25th Anniversary promo CD has been added to the releases page. An edit from this release has been added to the Live Killers page. - Special thanks to Wilki Amieva and Richard Guibault for assistance. - Absolutely Anything added to Misc Roger Taylor Solo page. - Amazing Grace and Roll With You added to the Brian May solo page. - Return Of The Champions DVD added to the releases page. - C-lebrity (Live on Al Murray's Happy Hour) added to The Cosmos Rocks page. - Peter Freestone Townhouse Studios cassette tape songs added to A Kind Of Magic album page. The tracks include versions of Battle Scene, Princes Of The Universe, and One Year Of Love. - The demo "Butterfly" was added to the A Kind Of Magic album page. - Corrections on the I Want To Break Free single mix was made on The Works page. - Various US pressings have been added to most early 70s Queen singles on the Releases page. - A Night At The Odeon Super Deluxe box set added to the releases page. - Studio Collection 18 disc vinyl box set added to the releases page. - Now I'm Here (Odeon Soundcheck) song version added to the A Night At The Odeon page. - Bohemian Rhapsody (French Promo Edit) description added to the A Night At The Opera page. - A Night At The Odeon liner notes added. - Two new song versions added: People Of The Earth (The Prophet's Song - Instrumental Take) and Love Of My Life (Piano Take). - Made In Heaven liner notes added. - Sarm Studios A Night At The Opera "ruff mixes" reel-to-reel tape added. - A Night At The Odeon CD/vinyl and Blu-Ray release pages created. - Live At The Rainbow '74 promo song versions added. - A Night At The Odeon page created. - Jazz liner notes have been updated. - A new song version has been added to the Live At Wembley Stadium page. One Vision (Live At Wembley Stadium, July 11th, 1986 - 2011 Radio Edit) appears on a Hollywood Records promo CD. - Liner notes have been updated for the following pages to include studio information: Queen, Queen II, News Of The World, The Game, Hot Space, The Works, Innuendo, The Cosmos Rocks, Mr. Bad Guy, Another World, Fun In Space, Strange Frontier, Happiness?, Electric Fire, Fun On Earth, and Mad : Bad : and dangerous to know. One Night In Hell has been added to the Brian May page. Also, there have been several small, graphical changes to the images throughout the website. The Candlelight Concerts has been added to the Brian May page. All of the Kerry Ellis and Brian May releases have been added to the releases page. The Queen + page has been completely overhauled with a new look and added material. Freddie Mercury VHS, DVDs, and Blu-Rays have been added to the Releases page. Differences between the 1998 and 2004 Greatest Karaoke Hits CDs are now listed throughout the site. All Queen Forever song versions have been added to the website. Queen Forever sleeve scans and tracklists updated here. The Soul Brother Canadian Edit has been added to the Hot Space page and to the Under Pressure releases page. The Sheer Heart Attack page has been updated with another Flick Of The Wrist edit; this time from the Japanese 7" vinyl of Killer Queen. Thanks to Craig Piper for that find and sharing it. Let Me In You Heart Again has been added to The Works page. The releases page has been updated with more info and scans for The Game, 3" CD Single Box (Japan), The 3" Singles (Germany), The Complete Works, Box Of Tricks, The Queen Collection, The Crown Jewels, The Platinum Collection, and Greatest Hits I & II box set. The Releases pages have been updated for the following albums: Live At Wembley Stadium, Live Killers, Live Magic, Jazz, The Works, A Kind Of Miagc, and News Of The World. The Releases page has been updated. All of the Freddie Mercury releases pages have been re-done, featuring more sleeves and scans for singles and albums. The Smile page has been redone, adding more information. About 20 more releases pages have been updated, adding more images and release info. It just wouldn't be a QueenVault.com update without adding some song versions from The Lot. - Keep A Knockin' (The Lot Version) has been added. - One Night Stand (1998 Version - The Lot Mix) has been added. Also, work has begun updating the Queen singles on the releases page. Have a look around at the new scans and graphics for various releases. About half are done. A special thanks to friend of the website Richard Guilbault for assistance with the Keep A Knockin' song version. A special thanks to Mariano Bryner for the Japan CD versions of London Town and People On Streets (Mashed). The Cross page has been update to not only include song versions, but also liner notes and lyrics too. Roger Taylor's page has been update to not only include song versions, but also liner notes and lyrics too. Happy New Year and thanks for the continued support of QueenVault.com! All releases pages for Roger Taylor and The Cross have been redone. Almost all of the front sleeves, back sleeves, and the disc/label are shown for US & UK releases. Thank you to Noah Petro for some of The Cross scans that were needed. In addition, all tracks from Fun In Space that appear in The Lot have been remastered at a slower, uneven speed. These are all now listed as well. - A few big updates today. The first major update is that this website is now co-operated by both Adam Unger and Patrick Lemieux. - Additional scans and graphics have been added to Roger Taylor's solo releases, featuring images of sleeves and discs. - Edits of Flick Of The Wrist and Ogre Battle from the Japanese cassette "Best 16" have been added. Many thanks to Craig Piper for the information. The Game 5.1 mixes have been added to The Game page. - Two new versions have been added. Thank God It's Christmas (The Edge Of Christmas Version) and We Will Rock You (Live At Wembley '86 - The Best Live Version) have been added to The Works and Live At Wembley Stadium respectively. The US Single Version of Shove It was added to The Cross' Shove It page. Special thanks to Edward for the Thank God It's Christmas info, Richard Guilbault for the We Will Rock You version, and Patrick Lemieux for help writing the entries. - Four new pages have been added following the misc. solo outings of Queen members. - Kerry Ellis + Brian May releases are added to the main Brian May page. Acoustic By Candlelight is added to the Brian May page as well. - Barcelona, Queen +, Brian +, Queen 1, and The Amazing Spider-Man all updated with some additional info. Brian May + Kerry Ellis' The Kissing Me Song is added to Brian +. - The Cross official fan club bootlegs (Astoria Theatre and Live In Germany) have been added to The Cross page. The Golden Boy (Horn Remix) and it's promo CD releases have been added. A very special thanks to Rhys for the cover scans and additional information. - Hungarian Rhapsody: Live In Budapest has been added to the 1991-Now page. The Blu-Ray/2 CD set details are also available on the Releases page. - Exercises In Free Love (Montserrat's Vocal) from both 1987 and 2012 have been added to The Great Pretender page. - Star Fleet Project (Video Version), Star Fleet Project (Argentinian Edit), and Star Fleet Project (US Promo Edit) has been added to the Star Fleet page. Foreign Sand (Video Version) has been added tot he Happiness page. Shove It (Video Version) has been added to Shove It. Liar (Video Version) has been added to Mad, Bad and Dangerous To Know. Driven By You (Video Version) has been added to Back To The Light. Flash's Theme (Ted Original Soundtrack Version) has been added to the Flash Gordon page. - Barcelona (Special Edition) page has been started. Click here to visit it. - Liner notes have been added Mr. Bad Guy, Barcelona, Star Fleet Project, Back To The Light Live At The Brixton Academy, Another World, Furia, Fun In Space, Strange Frontier, Happiness?, Electric Fire, The Unblinking Eye, Live At Wembley '86, The Cosmos Rocks, and Live In Ukraine. - Queen + page has been updated with The Muppets' version of Bohemian Rhapsody, Queen + Foo Fighters performance of Tie Your Mother Down in Hyde Park, and Roger & Brian joined the WWRY German Cast for a greatest hits medley. - Queen + page has been updated with the I Want It All/We Will Rock You mash up by Armageddon. - Some reworking of entries on Flash Gordon, Hot Space, The Works, A Kind Of Magic, The Miracle, and Innuendo. Party (The eYe Version) has been added to The Miracle. Grand Dame, Affairs, and Don't Try So Hard (Demo) have been added to Innuendo. - Additional information and a few minor song versions added to Queen, Queen II, Sheer Heart Attack, A Night At The Opera, A Day At The Races, News Of The World, Jazz, and The Game. - Brian + page updated with information about collaborations with Bad News and Anita Dobson. - Releases page updated with various promo CD releases. - A few small updates today: Video Versions from the last batch of Deluxe iTunes album releases have been added to Wembley, Works, and Made In Heaven pages. - Added the following tracks: It's A Beautiful Day (Reprise - Deep Cuts 3 Version) is now on the Made In Heaven page. Teo Torriatte (High Definition Mix 2005 - 2011 Edit) has been added to the A Day At The Races page. Queen's performance at the 2001 Rock and Roll Hall of Fame has been added to the Queen + page. The tracks were released exclusively through iTunes last year. - All bonus tracks from the 3rd set of 5 2011 Deluxe CD Remasters has been added to the individual albums' pages. The We Will Rock You/We Are The Champions live promo edits from a 2005 Japan promo CD have been added to the Return Of The Champions page. A few unreleased demos/alternate versions have been added to the Hot Space, A Kind Of Magic, and Innuendo pages. - Jealousy and Mustapha added to the released pages. Is It Me? (Original Version) with lyrics and Surrender (Original Version) added to the Electric Fire page. - Son And Daugher (Austrailian Censored Single Version) has been added to the Queen I page. Dear Mr. Murdoch (2011 Version) added to Happiness page. - All Bonus EP tracks and iTunes Video Version from the 2nd batch of 2011 deluxe CD remasters have been added to News Of The World, Jazz, The Game, Flash Gordon, and Hot Space. - All iTunes live video versions from the 2011 Deluxe albums have been added. All 2009 Absolute Greatest Streaming Videos have been added to their appropriate pages. 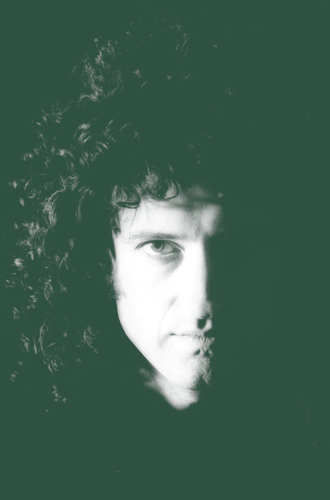 - BASIC Queen Bootlegs song versions have been added to Sheer Heart Attack, News Of The World, The Game, Jazz, and Hot Space. For more great info, check out this site http://unheard78.blogspot.com/2011/04/queen-basic-bootlegs.html. Also, Brian's contribution to Lady Gaga's new album is available on the Brian + page. - Ibex added to the Pre-Queen section. Special thanks to the excellent QueenConcerts.com website for additional information. 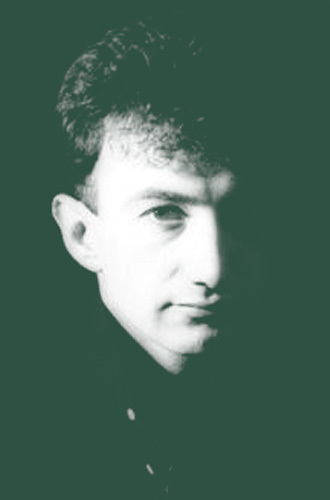 - I Can't Live With You (Vinyl Edit) added to Innuendo. - Huge amount of updates today... De Lane Demos and the Long-Lost Re-take of Keep Yourself Alive on Queen I have all been updated. See What A Fool I've Been (BBC Session 2 Remix), White Queen (Live At Hammersmith Odeon), The March Of The Black Queen (Stand-Alone Version), Ogre Battle (Stand-Alone Version), The March Of The Black Queen (UK 1st CD Pressing Version), and Seven Seas Of Rhye (Instrumental Mix 2011) have been added to Queen II. Nevermore and See What A Fool I've Been have been updated on Queen II. Now I'm Here (Live At Hammersmith Odeon) and Bring Back That Leroy Brown (A Cappella Mix 2011) have been added to Sheer Heart Attack. Flick Of The Wrist and Tenement Funster BBC Versions have been updated on Sheer Heart Attack. In The Lap Of The Gods... Revisited (Live At Wembley Stadium '86 - 2011 Edit) was added to Live At Wembley Stadium. Bohemian Rhapsody (Operatic Section A Cappella Mix 2011), You're My Best Friend (Backing Track Mix 2011), I'm In Love With My Car (Guitar & Vocal Mix 2011), '39 (Live At Earl's Court, 1977), '39 (Classic Albums Version), Death On Two Legs (30th Anniversary DVD Intro), and Love Of My Life (Classic Albums Duet Mix) were added to A Night At The Opera. Tie Your Mother Down (Backing Track Mix 2011), You Take My Breath Away (Live In Hyde Park, 1976), and Good-Old Fashioned Lover Boy (Top Of The Pops Version) added to A Day At The Races. Somebody To Love (Live At Milton Keynes - 2011 Edit) added to On Fire: Live At The Bowl. - Lots of updates today... Teo Torriatte (2011 Japan Greatest Hits Edit) has been added to the A Day At The Races page. I Was Born To Love You (2011 Japan Greatest Hits II Edit) has been added to the Made In Heaven page. Under Pressure (Live At The Bowl Edit) and Tie Your Mother Down (Live At The Bowl Edit) were both added to the On Fire: Live At The Bowl page. Tie Your Mother Down (Rocks Video Version) added to the Live At Wembley page. The Great Pretender (Extended Video Version) was added to The Great Pretender page. In My Defence (Video Version w/Interview Soundbites) was added to the Time page. - Featured Release is updated with the Elektra 7" We Are The Champions picture sleeve. My Collection is also updated. 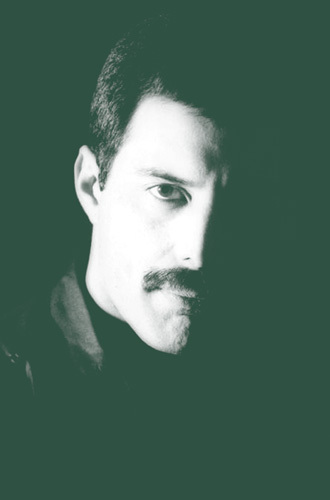 - Mr. Bad Guy page updated with the full entry for the original 1985 Living On My Own single edit. - Greatest Hits 1 and Greatest Hits 2 releases pages updated with the new 2011 Island Records releases. Queen I and Keep Yourself Alive release pages updated with the 1998 Hollywood Records Keep Yourself Alive promo disc. My Collection updated. - Brian May Live from Brixton Academy updated with adding the following song versions: We Will Rock You (Live Single Version), We Will Rock You (Live Promo Version), '39/Let Your Heart Rule Your Heart (Live Single Version), and Last Horizon (Live Single Version). - Queen + Paul Rodgers live versions updated: Reaching Out/Tie Your Mother Down and Fat Bottomed Girls (from CD single). All Right Now and Feel Like Makin' Love (from Stone Cold Classics). - Singles Collection 4 added to releases, Sheer Heart Attack, News Of The World, Innuendo, Made In Heaven, No-One But You, Live At Wembley, Live Killers, Releases, and My Collection updated. - Live Killers page updated with all of the different song versions appearing on the UK promo CD Rock You. - The Great Pretender (Film Mix) added. Thanks to Clausqueencollection.com for the assistance. - Sleeves added for US I Want To Break Free 7" promo, US I Can't Live With You CD promo, US Hammer To Fall CD promo, and the 1989 Convention Message vinyl. Thanks to Craig Piper for the scans. - We Will Rock You (At The Bowl Fast Promo Edit) added to the On Fire: Live At The Bowl page. - Wallpapers page updated with a new wallpaper, "The Singles Collection". - Fat Bottomed Girls (Hollywood Records Video Version) added to the Jazz page. - Brian + page has been updated with completed entries for Foo Fighters, Meatloaf, Black Sabbath, Billy Squier, Diana Ross, Rock Therapy, Status Quo, and Jimmy Gnecco. - Karaoke Versions from the Japan Greatest Karaoke Hits DVD have been added to A Night At The Opera, Innuendo, and Made In Heaven pages. - Track times added to the final two 1984 tracks listed. - Corrected errors on the Sheer Heart Attack page (Thanks Craig). - Tim Staffell's Amigo tracks featuring Brian May now have complete write-ups. - Kerry Ellis has been added to the Brian + page. Tracks from her Wicked In Rock EP have been added. A few tracks from the upcoming Anthems have been added as well. - Wreckage page created under Pre-Queen. - Weekly Feature Release added to the page. Click on the exploding crest to view detailed information about a Queen or Queen-related release! This week's feature is the US It's Late 7". - Headlong (Canadian CHR Edit - No Guitars) added to the Innuendo page. Special thanks to Wilki Amieva. - Plenty of new song versions added to this update: Somebody To Love (Video Version), Sheer Heart Attack (Rocks Video Version), It's Late (Rocks Video Version), Stone Cold Crazy (Rocks Video Version), Fat Bottomed Girls (Rocks Video Version), Hammer To Fall (Rocks Video Version), Hammer To Fall (Greatest Video Hits 2 Version), Innuendo (Video Version), Headlong (Video Version), Heaven For Everyone (Greatest Flix 3 Version). - New Menu layout: + Paul has been added, Party at the Palace and 46664 has been moved to Queen +, Live section is deleted (live albums are moved to the regular discography/song versions sections). - Link added for the new QueenVault.com Facebook page. - No-One But You page added. - The Queen Collection has been added to the Releases page. - Friends Will Be Friends now has a VHS Video Version and a DVD Version now listed on the A Kind Of Magic page. - Princes Of The Universe Video Version has been added. - A Kind Of Magic page updated with the Video Version of Who Wants To Live Forever added and the Single Edit of Who Wants To Live Forever corrected. - Minor correction on the Innuendo page; Headlong (GH2 Edit) has been rightfully changed to Headlong (Vinyl Edit). - Singles Collection Volume 3 has been incorporated into The Works, A Kind Of Magic, and The Miracle pages. - Top menu has been updated. Charts are now under "Main". The Cross has been added to the menu. - The Unblinking Eye added under the "Roger" section of the menu. - Taylor Hawkins & The Coattail Riders tracks added to the "Brian +" and "Roger +" page. - Teo Torriatte (Let Us Cling Together) (High Definition Mix 2005 Edit) added to the A Day At The Races and Releases page. - Added the 2000 and 2008 versions of the Japanese release "In Vision" to the Releases page. - Added Flash's Theme (2007 High Octane Mix) to the Flash Gordon page. - We Will Rock You (Ruined by Rick Rubin Edit) added to the News Of The World and Releases pages. - Miami Project and Wyclef Another One Bite The Dust entries moved to the Queen + page. - US Queen's First EP added to the releases page. - I Want To Break Free (Mixtime Remix) has been added to The Works page. - The Singles Collection Vol. 3 has been added to the Releases page. - Releases, Star Fleet Project, Another World, and Back To The Light pages updated. - I Can Hear Music, Love Kills, Mr. Bad Guy, Time, The Great Pretender, Furia, and Barcelona are all updated and 99% complete. - Links updated with the excellent Queenvinyls.com website. - Releases page updated with all of the Freddie Mercury releases. - 2005 Downloads page is complete and uploaded (finally!). - Releases page updated with all of the Cross releases. Also.. Shove It, Mad, Bad, And Dangerous To Know, Blue Rock, and Manipulator have all been updated. 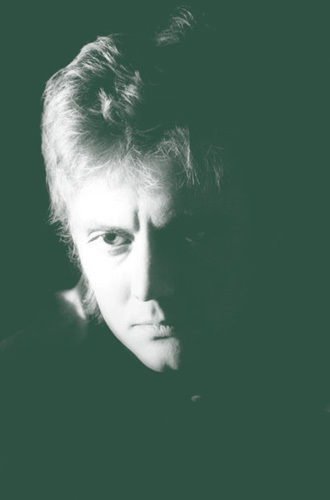 - Releases page updated with all of the Roger Taylor releases, including The Unblinking Eye. - Releases page updated with "Queen +" releases,The Singles Collections, and additional singles. - Absolute Greatest added to the releases page. - We Believe Single Edit added to The Cosmos Rocks page. - Releases pages added to the main menu. - Live In The Ukraine Page added. - 2008 Downloads page added and completed. - The Game, A Night At The Opera, Hot Space, A Kind Of Magic, Innuendo, Star Fleet, Spider-Man, and Another World have all been updated by Pat. - Shove It, Manipulator, MBADTK, and Blue Rock have all been updated with help from my collaborator, Pat Lemieux. - Love Kills & Mr. Bad Guy updated with excellent write-ups from Pat Lemieux. Many thanks Pat! - The Cosmos Rocks page updated with additional info and track times. - New Cosmos Rocks wallpaper uploaded. - The Cosmos Rocks page updated with correct album art and tracklist. - Party At The Palace added to the Live section. - Sleeve links and images added to the following pages: Time, Blue Rock, Mad, Bad, And Dangerous To Know, The Amazing Spider-Man, The Immortals, Another World, Star Fleet Project. - New website design to be better compatible with both Firefox and Internet Explorer 7. - Say It's Not True added to 'Queen +' page. - 46664 concert page added to 'Live'. - 'Brian +' page rough outline started. Updates to come.